July 26, 2012 – Back on July 19, the Department of Transportation’s Office of Inspector General (OIG) issued a report on the Federal Aviation Administration’s (FAA) oversight of the Air Traffic Safety Action Program (ATSAP) a voluntary non-punitive reporting program for air traffic controllers to report safety concerns, such as operational errors and events that present hazards to aviation. OIG conducted this review at the request of the Chairmen and Ranking Members of the Senate Committee on Commerce, Science, and Transportation and its Subcommittee on Aviation Operations, Safety, and Security as well as the Chairman of the House Committee on Transportation and Infrastructure and the Chairman and the Ranking Member of the House Transportation and Infrastructure Subcommittee on Aviation. OIG found that, although the FAA completed ATSAP implementation at all air traffic control facilities in 2010, the Agency will need to make significant improvements before ATSAP will be able to effectively identify and address the root causes of safety risks. For example, due to ATSAP provisions designed to protect controller confidentiality, much of the ATSAP data that FAA collects are not validated, raising questions about the effectiveness of these data for analyzing safety trends. OIG also found that the FAA’s oversight of ATSAP lacks effective program management controls. For example, the FAA does not have a formal process to review the effectiveness of decisions made by the program’s review committees to ensure that report acceptance criteria are rigorously followed and that conduct issues are dealt with appropriately. Failure to address potential deficiencies in transparency and accountability may lead to the perception that ATSAP is an amnesty program in which reports are automatically accepted, regardless of whether they qualify under the program’s guidelines. OIG made 10 recommendations to improve the FAA’s implementation of ATSAP and to strengthen internal controls, use of data, and performance management within the program. The FAA fully concurred with five recommendations, partially concurred with three, and did not concur with two. OIG is requesting that the Agency reconsider its responses for these two recommendations, particularly regarding the validation of all data accepted through ATSAP. “While we completely agree with comments made during House Aviation Subcommittee testimony last week by the Inspector General that a non-punitive safety reporting system like ATSAP is a strong inducement to better reporting of safety issues, we do have a few concerns about some criticisms the IG has made of the program today. “The bottom line is that since the beginning of implementation in 2008, no other safety program has identified and fixed more local and systemic problems than the ATSAP program. More than 60 percent of the 21,462 Air Traffic Organization (ATO) employees who are eligible to participate in the ATSAP program have submitted at least one ATSAP report. We agree with the FAA that this marks a giant step forward for safety. The ATO now has more and better-detailed safety data than before. The high level of participation shows controllers see the program as a way to improve safety. “The ATO is analyzing and acting on the data to improve safety. Much of this data might have remained unknown and uncollected if not for ATSAP. 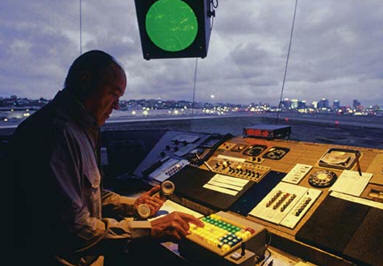 Safety is an air traffic controller’s top priority. The FAA’s data validates our long-held belief that our reporting system works and is helping to keep America’s aviation system the safest in the world. We are continuing to collaborate with the FAA to improve the system and enhance aviation safety." - DOT IG: “Deficiencies with ATSAP data analysis limit FAA efforts to identify and mitigate safety risks.” NATCA: While there is always room for improvement, the ATSAP program is a major leap forward. It has boosted the number of reports of problems filed with federal authorities and increased the resolution rate of safety issues around the country. This is a direct result of the robust and comprehensive data analysis processes currently in place. For example, we are members of and work closely with the well-regarded Aviation Safety Information Analysis & Sharing program. We give our information to the NASA Aviation Safety Reporting System. We also use experts from the Fort Hill Group to analyze our information and provide reports. - DOT IG: “The data that FAA relies on for identifying safety trends are often not verified for accuracy by the (Event Review Committees) ERCs.” NATCA: We gather both subjective and objective data – on purpose. We neither need nor want to validate everything we learn because we want the unadulterated views of the safety professionals submitting reports. The goal is to compare the safety professionals’ versions to what actually happened. That gives us the best data to act upon. - DOT IG: “FAA does not effectively communicate safety data to facilities.” NATCA: We disagree with this statement. The FAA provides every facility regular ATSAP briefing sheets, covering a vast array of important topics that affect every air traffic controller. This statement is clearly printed at the top of the cover page of the briefing sheets: “Please post throughout your facility, and utilize the subject and lessons learned during crew briefings as a method to raise awareness within the workforce.” In addition, facilities can – and often do – submit requests to the ATSAP program to support local initiatives that address safety problems. These help both nationally and locally because safety risks and trends affect controllers all over the country. DOT IG: “Facility managers do not always understand their rights and obligations under ATSAP.” NATCA: The FAA has provided every conceivable resource to facility managers to understand the full scope of the program. Training was provided during the initial rollout. Follow-up training sessions were also conducted and ATSAP communications, as stated above, have been successful and comprehensive. In addition, ATSAP’s Event Review Committees members also participate in the Operational Supervisor’s Workshops on a monthly basis. This training provides front line managers with training about ATSAP’s processes and participants’ responsibilities. The workshops also provide front line managers with the ability to directly ask the ERC members questions, which they regularly do. DOT IG: “FAA’s oversight of ATSAP lacks management controls in key areas.” NATCA: The FAA, in fact, reviews the effectiveness of ERC decisions and of corrective action requests. The program office tracks the completion of the requests, the responses to them and the implementation of the corrective action plans that follow. Facilities must tell the ERC if the implementation of the corrective action plans was effective and if any skill enhancement training was effective. The ERC determines if an issue was successfully completed. Gone, thankfully, are the days of “one size fits all” in the area of working to mitigate safety risks in the system. The success of the FAA’s move to a true safety culture has stressed effective training rather than punitive training. This works better. When safety professionals make mistakes, they can now learn from those errors, self-correct and improve. The system is safer as a result.